Senior journalist who has been with BBC for 8 years refuses to continue as presenter due to company's bias. 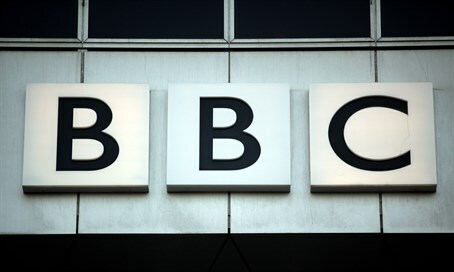 A senior journalist for BBC has announced she will no longer be working as a new anchor for the leading UK news company due to its biased coverage - but she was not referring to its well-documented bias regarding Israel. Instead, Dima Izzedin of Syria accused her employer of bias in favor of Bashar al-Assad's regime in its reporting on the bloody war in her home country. After eight years at BBC she announced she will no longer continue, reports The New Arab on Tuesday. "Today I was supposed to go back to the BBC screen after an absence of a year but I will no longer go back," she wrote in Arabic on Facebook. While saying she was thankful for her experiences at the company, she said "the standards adopted by this great institution are supposed to make it first class in media, but this not the case." "Unfortunately, these standards are no longer applied as it should be. ...Today I leave it (the BBC) as it is no longer like me nor am I like it. The news on my wounded homeland departed us." Izzedin's accusations of bias come even as BBC has repeatedly come under fire for biased coverage against Israel. Even a former chairman of the BBC, Lord Michael Grade, last October accused the news site of having a blatant anti-Israel bias, and for failing to document the rampant terror incitement of the Palestinian Authority (PA). His criticism came shortly after the BBC posted a headline reading, "Palestinian shot dead after Jerusalem attack kills two" regarding a terror attack. The paper later admitted that the headline was wrong, but refused to apologize for using it. The channel later changed its headline to the more accurate "Jerusalem: Palestinian kills two Israelis in Old City." Izzedin's decision to quit BBC came following its reporting of week-long airstrikes by Assad's regime and his Russian backers on rebel-held eastern Aleppo. Reportedly two hospitals were destroyed by the strikes and 250 people were killed. In one attack, the BBC caused anger by claiming rebel forces bombed a regime-held part of Aleppo and killed 44 civilians. However, the deaths were in fact from an opposition-held area, and the regime was responsible for the attack, reports The New Arab. Likewise the high death toll reported by the news site had not been given by Syrian state news or the Syrian Observatory for Human Rights. The BBC apologized for the mistake, but Syrian activists called the apology half-hearted and said it did not fix the damage caused by the report.